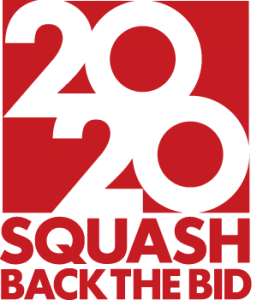 Published on January 25, 2014 in Champion Mindset, Sports Psychology and Squash Tips. 0 Comments Tags: Attention, Choking, Focus, Mental Toughness, Unforced Errors. Many players readily admit the mental side of the game is something they struggle with, in large part because they don’t know much about it and also because once they do learn about it, implementation is a very personal thing. The first step in adopting what I call the Mindset Of A Champion is the admission that games are won or lost either technically or mentally. Once that has been realised, then a player can start to self-assess him/herself on both dimensions. Determining which one will yield the quickest result is simple. Chances are, quantum leaps are available to you with mental toughness training. The benefit of mental toughness training is that it is often EASIER and QUICKER to improve mentally than it is physically. Technical improvements can take weeks and months to become natural within your “muscle memory” whereas mental strategies can have an IMMEDIATE impact as of your next game, match or tournament. Do that and stay tuned for future blog posts that will start to lay the groundwork for mental toughness within the context of the Mindset Of A Champion. Not sure how to determine if a point was lost mentally or technically? Here is an example from this year’s 2014 Australian Open Tennis Championship. The last 2 points played by Novak Djokovic… that cost him the match in the fifth set. 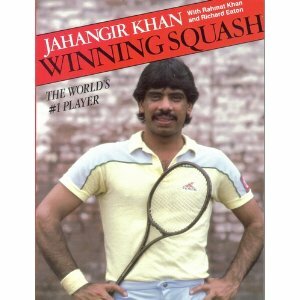 Published on August 17, 2012 in Champion Mindset, Inspiration, Motivation, Sports Psychology and Squash Tips. 0 Comments Tags: Improvement. 1 PErcent Improvement. Today’s discussion is one of those topics that appears self-evident but really isn’t – to most people. That is, the transition from one performance level to the next. As a squash player, I’ve transitioned from breaking rackets to breaking strings. With the level of intensity and high frequency of play, I used to break more rackets than strings. As I was acquiring my skills, I would often hit and scrape the wall as I got to more balls and played increasingly better players. Without the consistency in my racket skills, the contact point with the ball would vary widely on the racket strings. 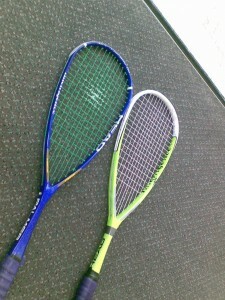 Eventually, the racket frame would give way and a replacement racket had to be purchased. In 2010, that changed. With increased focus and attention on my racket skills, I stopped hitting/scraping the wall and the contact point with the ball narrowed to become the center of the racket (sweet spot). You can see it in the centre of the blue racket. There are multiple lessons to be learned – the sports lesson is that if you are a competitive athlete, you need to assess where you’re at. I discussed this with my squash coach. We purposefully focused on improving my racket skills and strokes – primarily with direction to the ball and foot placement. Many (most?) athletes are not aware of the distinctions involved here and therefore have no clue where they are nor where they should be. Establish what I call Management By Metrics. Specific targets and milestones and focus on improvement. In today’s blog post, it’s about breaking fewer rackets and more strings, not to save money because it’s a trade off and about the same price when it all works itself out. WHY you’re monitoring that specific characteristic. Once the measurement takes place, then you can gauge, assess and analyse progress or development. Without measurement, you’re blind and hoping for the best. You won’t be a champion in sport with that approach and you certainly won’t have an optimally profitable business without systems and procedures in place to create SPECIFIC OUTCOMES. Too many people still believe that champions are born rather than made. Champions are made – manufactured with metrics. Every single Champion’s biography reveals (at least some of) the secrets that made the SUPERIOR at what they did. 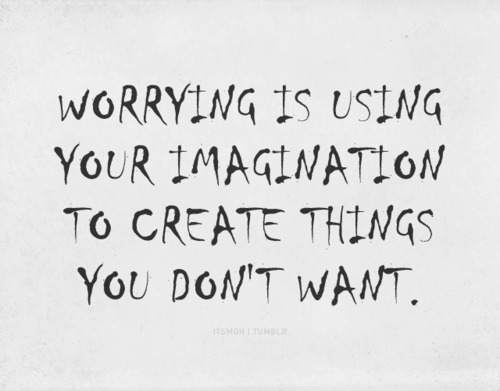 The key is for you to identify where you are to close the gap between that and where you want to be.